With my role as an Executive Search headhunter, one of the favourite part of my role is having factory tours. I have become a bit of a 'geek' in the office and often come back with 'interesting facts and figures' I had learnt from the tours on things such as output figures and new processes. I am always watching the 'Inside the Factory' shows on television as well. Here is a great insight and pictures in to the Seabrook crisps factory, with Daniel Woodwards, their COO. 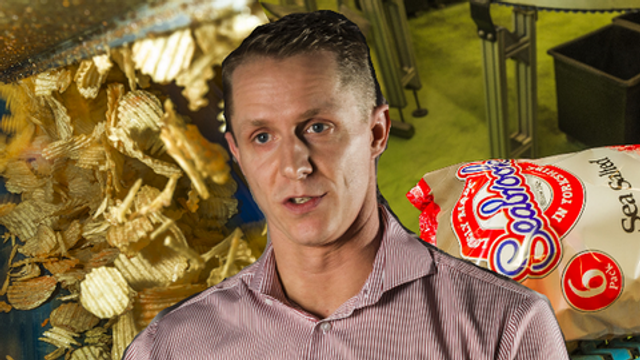 Explore inside Seabrook Crisps’s Bradford factory through a selection of pictures taken during Food Manufacture’s Me and My Factory interview with chief operating officer Daniel Woodwards.